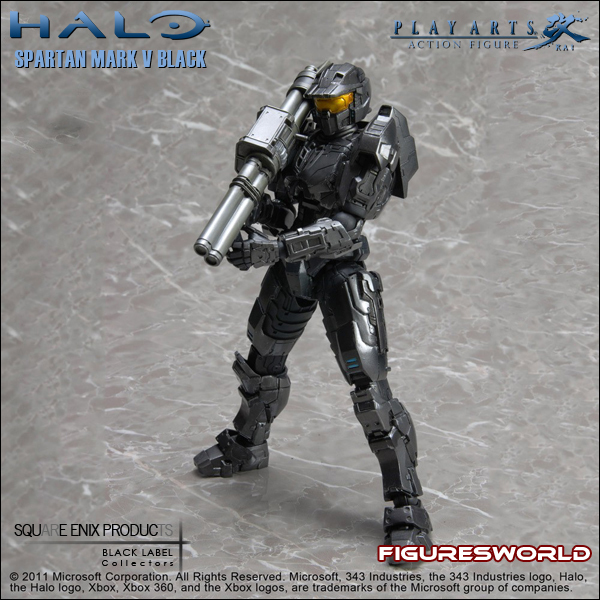 Exclusive Limited Edition black deco variant of the Mark V Spartan! 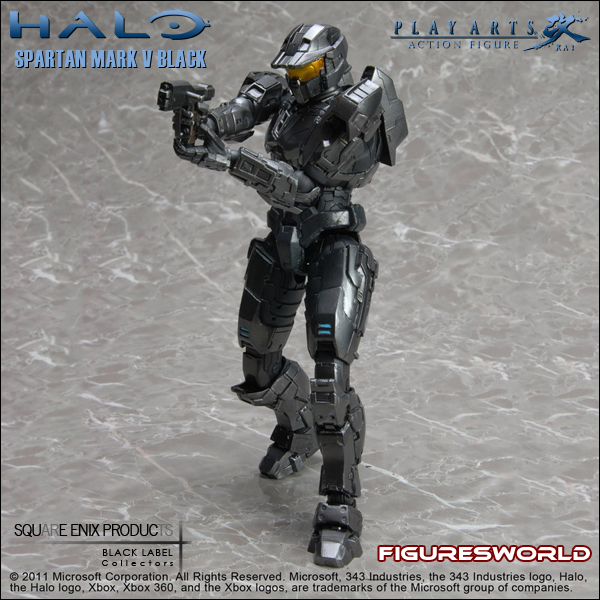 The Spartan Mark V of the Halo trilogy which has sold over 34 million units worldwide to date. 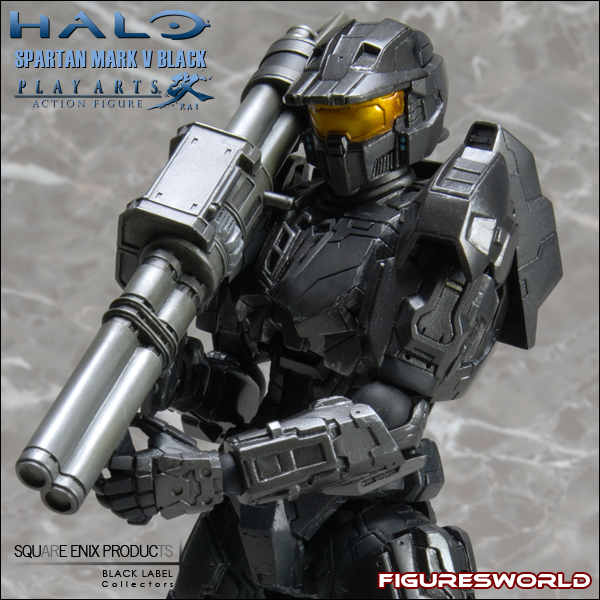 Spartan Mark V is redesigned for the Play Arts -Kai-, bringing to you the ultimate original design in pursuit of formative arts. A super-soldier born out of the Spartan-II program, Spartan Mark V is an expert in hand-to-hand combat, various weapons and vehicles. His astounding heroics and battle capabilities inspire humanity and terrify the Covenant. Created specifically for the Spartan-II soldiers, the MJOLNIR Mark V armor is intricately replicated by Square Enix Products. 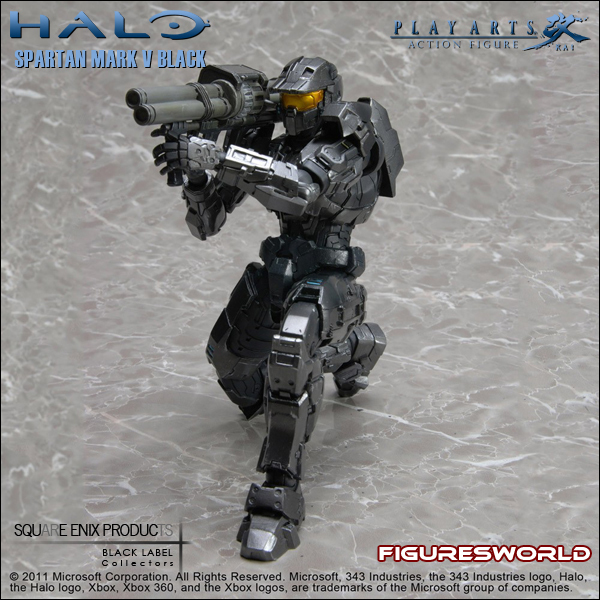 Keeping with the image of the original Spartan Mark V, slight adjustments have been made for a powerful build. The structure of the armor is true to the original, while detail arrangements create a mechanical feel. The legs have been separated into finer blocks compared to the original design, providing more content to the figure. The figure seeks to generate a sense of toughness. The flexible parts and the double jointed knees allow for fixed action poses.